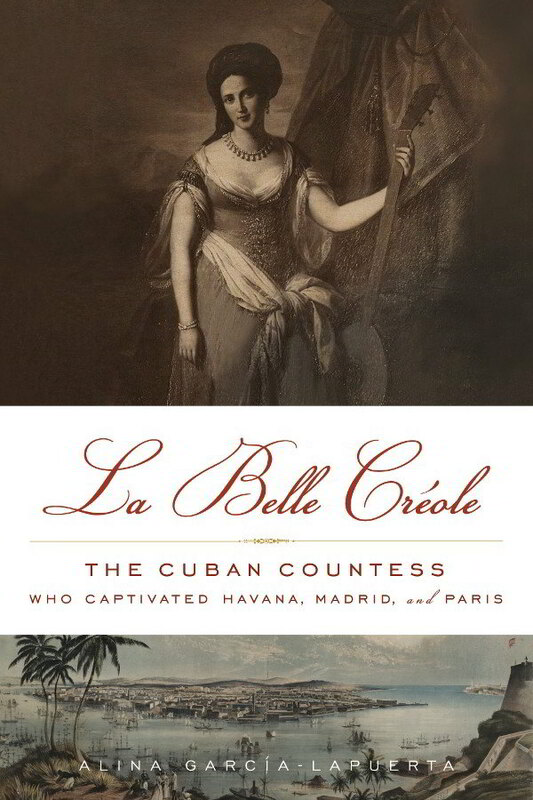 I am pleased to be a part of the blog tour for biographer Alina García-Lapuerta’s first book, La Belle Créole: The Cuban Countess Who Captivated Havana, Madrid, and Paris! La Belle Créole recounts the history of Mercedes Santa Cruz y Montalvo, a Cuban-born aristocrat of the early- to mid-1800s. She is recognized as the earliest female Cuban writer. La Belle Créole was known for her beauty, singing, and writing. This is the first English-language biography of the Mercedes Santa Cruz y Montalvo, and it results from seven years of research by García-Lapuerta. Read on my Q&A with the author! How did you become interested in writing biographies? What made you transition from banking to writing? Have you always wanted to write? I have enjoyed reading biographies since childhood – I can still remember one of the first books I checked out (on my own) from the school library: a biography of Queen Elizabeth I – I should have known then! 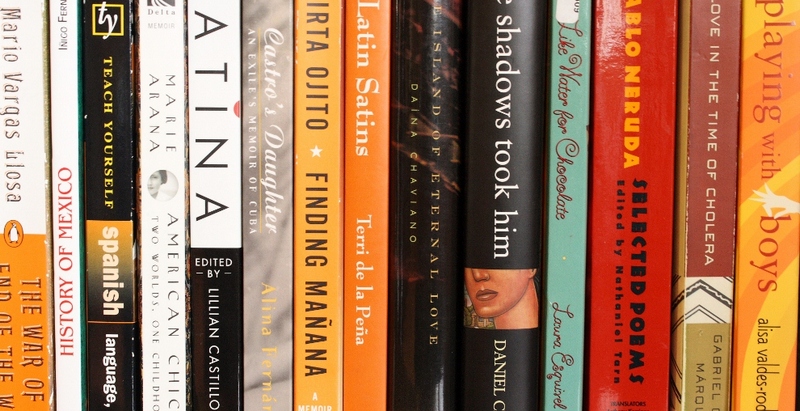 Since college, I seemed to have naturally collected biographies of women – specifically women from the past. I really enjoy learning about different places and times through the prism of a person’s life. There was no natural transition from banking to writing. Like many women, I took a break to raise my family – a break that took longer when my son had medical issues. Going back to the financial world wasn’t particularly appealing. I have always loved research and history, so biography combines the two very well. The tricky thing was finding the right subject, but when I found Mercedes, I knew I had found my subject. 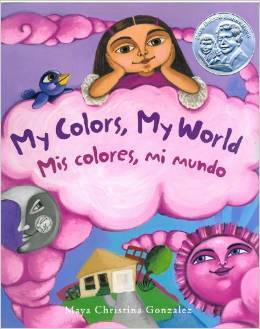 I have always enjoyed writing – whether scribbling in journals or creating little stories when younger. Writing was also an enjoyable (and critical) part of my education and work. Perhaps more recently it was less creative and more analytical, but I think that helped me in the end with the biography, which needs to be readable but informative too. What particularly drew you to your subject, Mercedes Santa Cruz y Montalvo? I was fascinated by the idea of a Cuban woman in 19th century Paris – what led her there? Her lush descriptions of Cuba were a delight to read. Also, the more I uncovered about her, the more remarkable her story seemed. It was very relatable to modern times – she had successfully recreated herself in a different world. She was a foreigner, operating in another language. The period she lived in generally meant that women had to accept their family’s choices, yet she was able to step away from their shadow, using her own initiative and talents. Mercedes is now recognized as the earliest Cuban female writer – why was she not publicly acclaimed earlier? There had long been a question of identity with Mercedes. She lived in France and wrote in French (although her best known work, Viaje a la Habana/La Havane was issued simultaneously in French and in a shorter Spanish version). She wrote about Cuba in her memoirs and travel writings, but it seemed that she was viewed almost as foreigner in her homeland. Recent scholarship has corrected this view. One scholar in particular has suggested that gender was a major factor in this debate. What legacy did Mercedes leave for the modern world? I would like to believe that her legacy is her image as a talented, strong – yet charming – woman in history. In more concrete terms, her legacy lies in her literary works – especially her unique accounts of her late 18th century Cuban childhood and her classic account of 19th century Cuban colonial society. Her lyrical descriptions of her homeland shine through even after over 170 years. Less obviously, she has a musical legacy. She helped nurture countless musical talents through her celebrated Parisian salon. We can’t hear her own voice today, but she is part of a timeless musical chain that influences people today. Did growing up in South Florida within the Cuban community influence your interest in this project? Yes, growing up in South Florida in the Cuban community – with my Cuban relatives – certainly did influence my interest. My family definitely cherished and celebrated its Cuban heritage. There were books about Cuban history lying around and my grandmother in particular passed on lots of stories about life in Cuba. We were also lucky to have many old photos, which I have always loved. So it is not surprising that I am attracted to almost anything about Cuba, but particularly the pre-revolutionary world. I knew much less about the colonial period – but it had a mysterious appeal. Did you find local support for the project? Any particular reaction from your Cuban family and friends or the wider Cuban community? I found incredible support from the University of Miami’s Cuban Heritage Collection, which collects and preserves all things Cuban. They were always helpful in endless ways. My Cuban family and friends were supportive of my project – they all liked the idea of something Cuban. However, I will admit that most of them didn’t have a clue who she was! I think this is because there is so much focus on the years just before the Cuban revolution and then the Castro era. There is less discussion about the colonial era. But most Cubans – wherever they are – love the idea of celebrating a historical Cuban figure. So they like Mercedes!